Robin egg blue with mottled caramel glazes. Ready to hang on the wall. 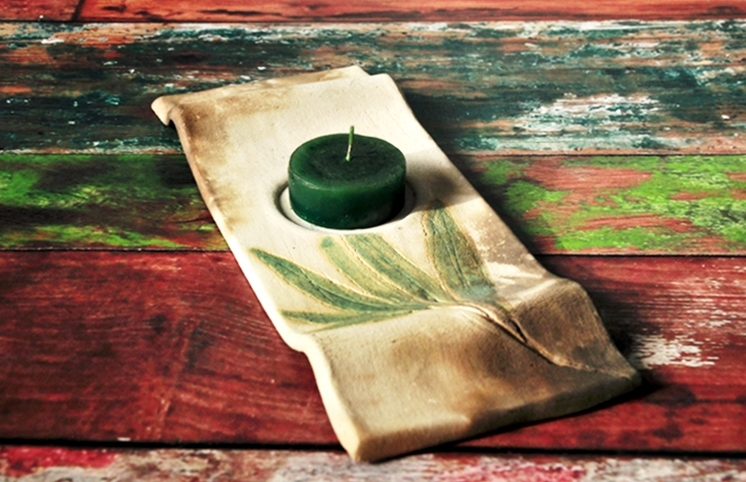 Sized to hold a regular votive candle but recommend using a votive glass, or just a tea light. This would also make a cute guest soap holder. Other colors can be requested. Also see matching wall pockets. 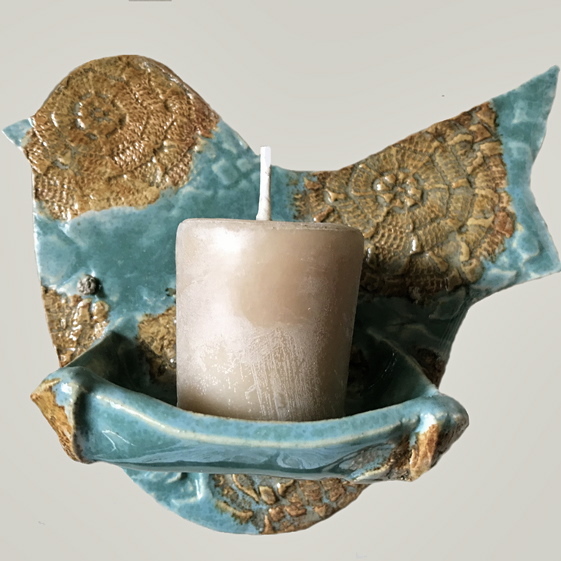 Pit Fired Votive Holder- with leaves (Willow shown in photo), which had been imprinted in the clay and glazed green. Smoky browns and greys from the pit-firing process add an interesting quality. 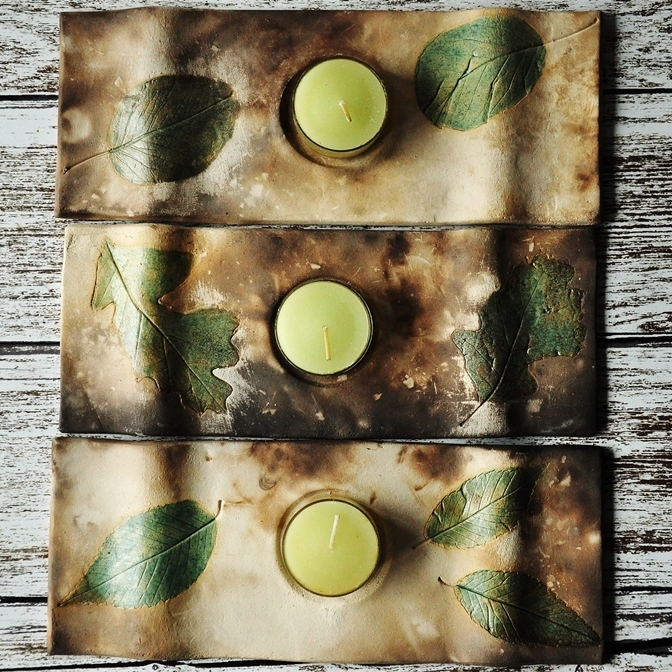 Brings a little bit of nature into your home. This is an original design. It looks beautiful on a wood coffee or end table, or in any natural setting. 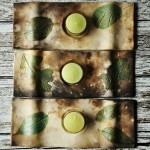 Set of 3 pit-fired candle/catch all dish with Elm leaf handles. 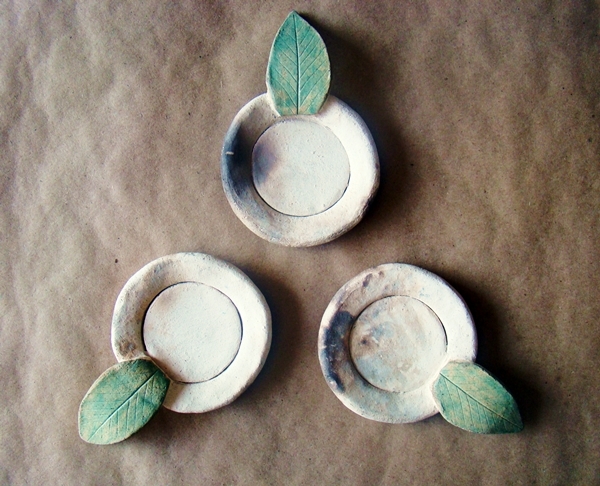 These make great tea light holders or may be used to burn incense cones.